Bending Branches Wave Hound Wood Stand-Up Paddle - The Wave Hound hybrid Stand-Up Paddle by Bending Branches combines the natural flex of wood and the strength of fiberglass to deliver just the right blend of give and take. The elliptical tapered shaft is comfy and strong. The combination of our solid Basswood wrapped with biaxial 7300 glass not only provides the perfect grip, but makes a bomb proof stand up paddle with a break strength of 400lbs. The 9'x18' blade will provide you with all the power you need and has rounded corners to reduce torque and blade damage. 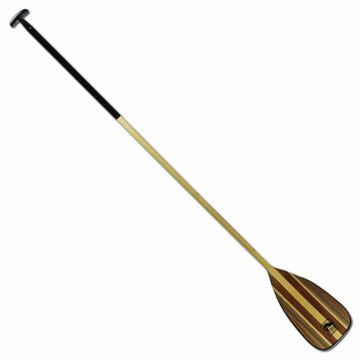 This SUP paddle by Bending Branches will treat you right weather hitting the surf or cruising on the lake.